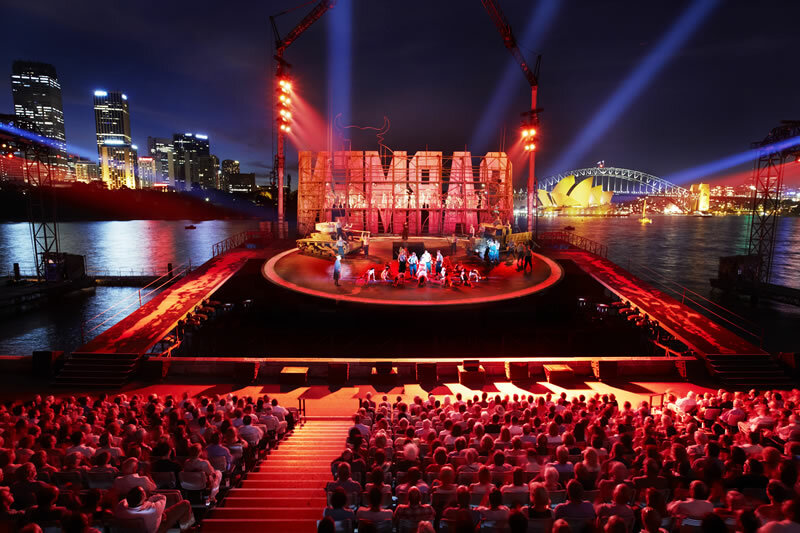 Our position as Australia's leading production company, has provided Clifton Productions with the greatest network of clients, and the opportunity to expand our product range. 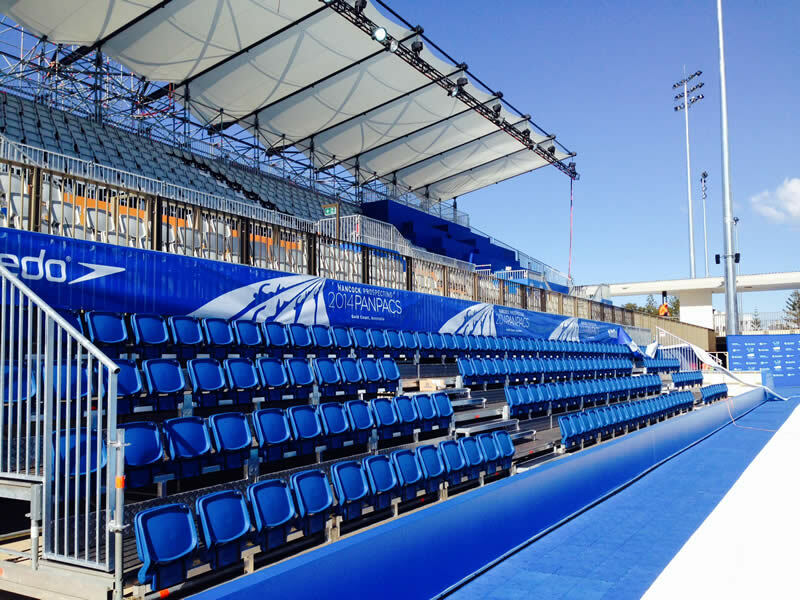 We are excited to deliver the highest quality grandstand seating systems, combined with our modular layher staging and scaffolding structures. 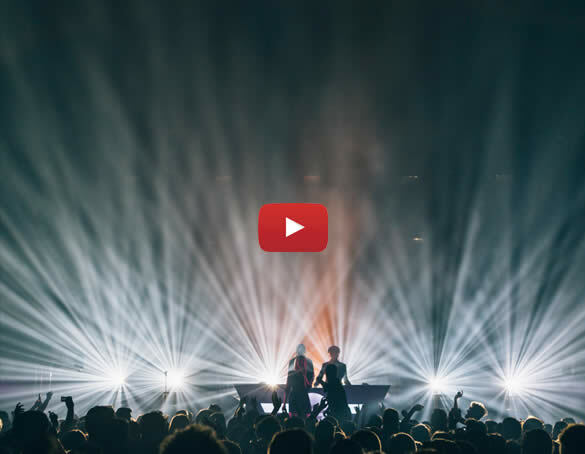 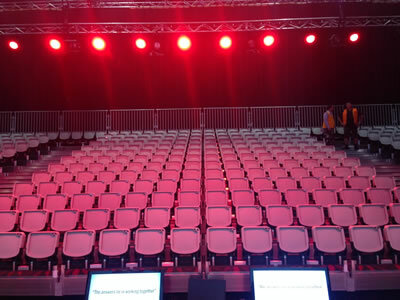 Utilising our ever growing LED screen inventory, along with our state of the art lighting and production equipment, we are able to consolidate all of our resources in assisting our clients in delivering outstanding experiences. 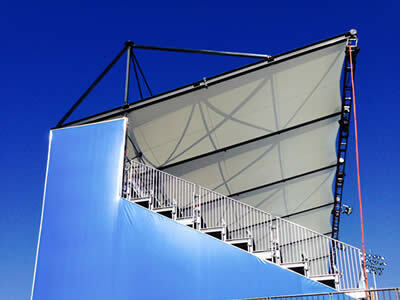 The introduction of our world class cantilevered roof system, and our expertise in steel fabrication creates endless possibilities when looking to create the "WOW" factor. 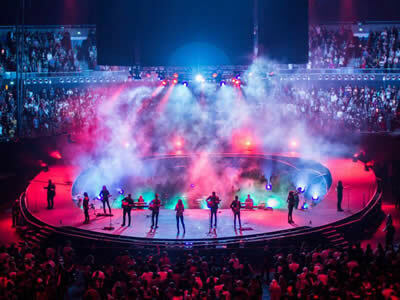 Helping clients to create unique and experiential environments is what we do best! 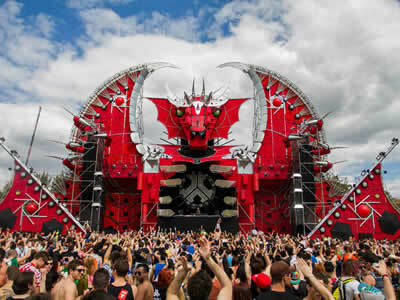 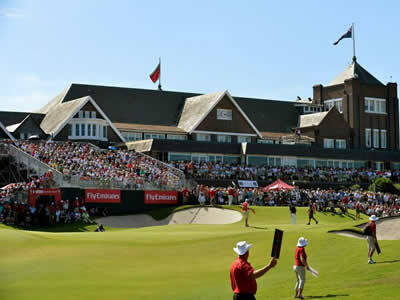 Our Grandstands are the highest quality and safest temporary facilities in the southern hemisphere. 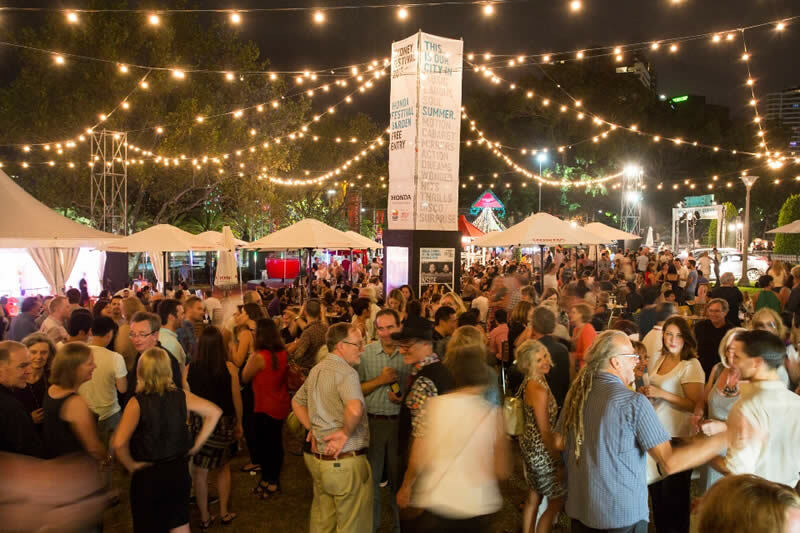 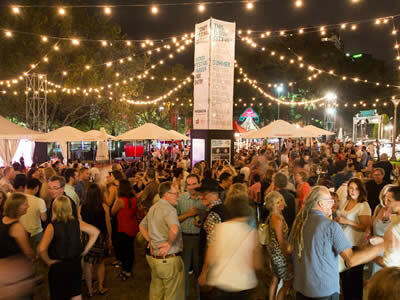 Combining our own manufacturing engineering excellence along with the integrated & interchangeable Box Seating system and the Layher scaffolding structure, we have designed and delivered some of the most outstanding temporary event facilities Australia wide. 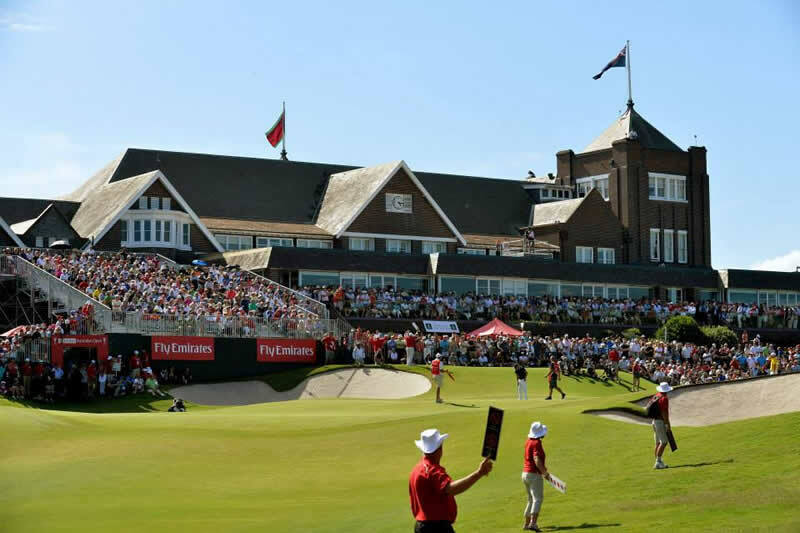 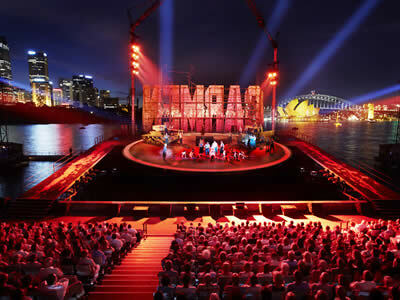 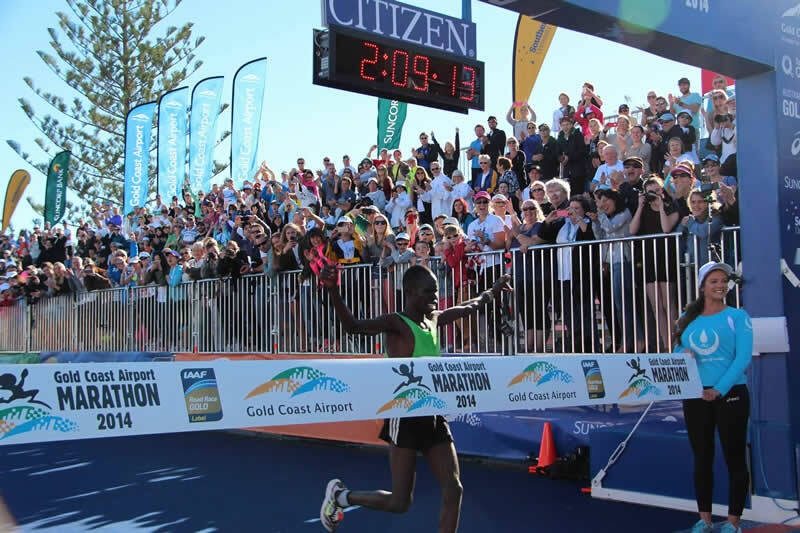 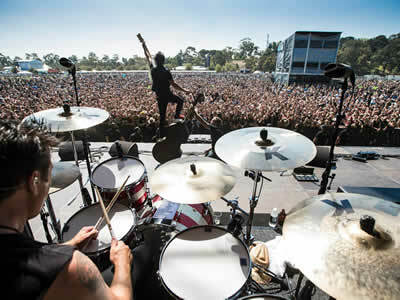 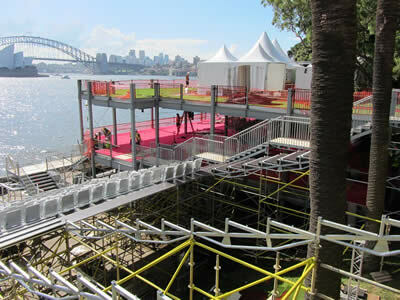 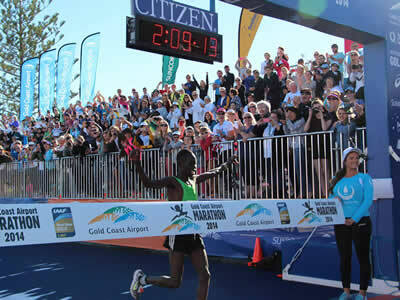 From the Pan Pacific World Championships held at the Gold Coast in 2014, to our annual appearance at the Handa Opera on Sydney Harbour for the last 3 years, we are continually lifting the standards in temporary grandstand structures and seating by combining state of the art materials with our extensive knowledge and expertise in delivering world class event infrastructure. 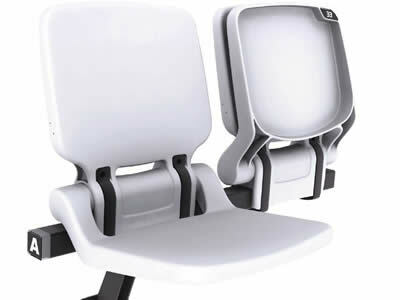 Our seating range combines modern materials, cutting edge all polymer soft action tip-up stadium seating in a variety of different colours in both the 901, 903 and 908 ranges. 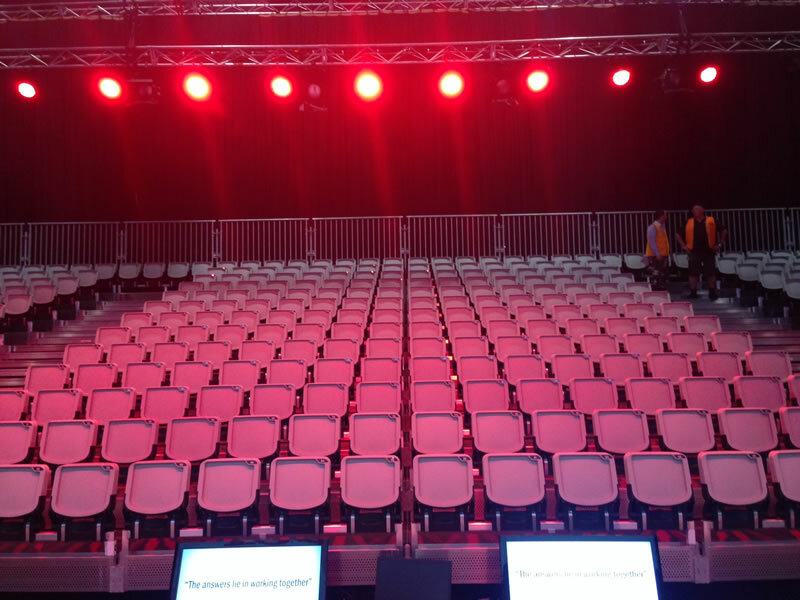 Providing the ultimate flexibility to interchange seat configurations, integrated tamperproof numbering system and delivering maximum comfort never before seen in a temporary seating facility in Australia. Providing grandstand seating solutions Nationally for the V8 Supercars Australia, The Voice with Freemantle Media in Sydney along with the National Beach Volleyball series in Glenelg, SA along with many other events both indoor & out, our seats will provide your event attendees with the best possible experience, whether they are a Corporate VIP or general admission ticket holder. 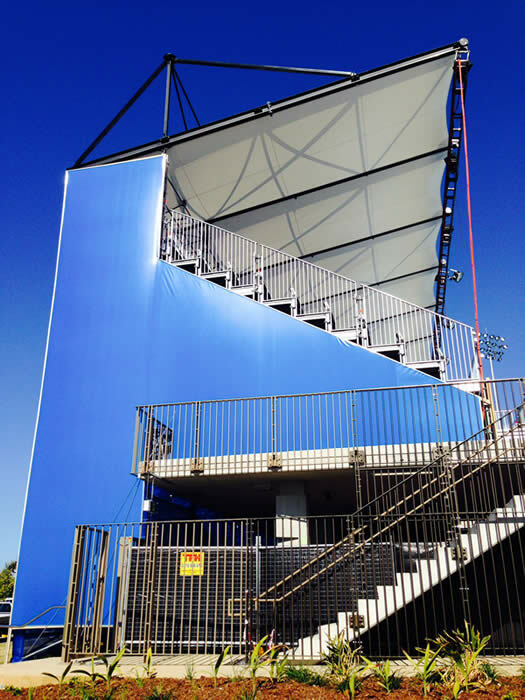 In a first for Australia, and possibly the world, Clifton Producitons have completed developement of our new Cantilevered Roof System for our grandstands. 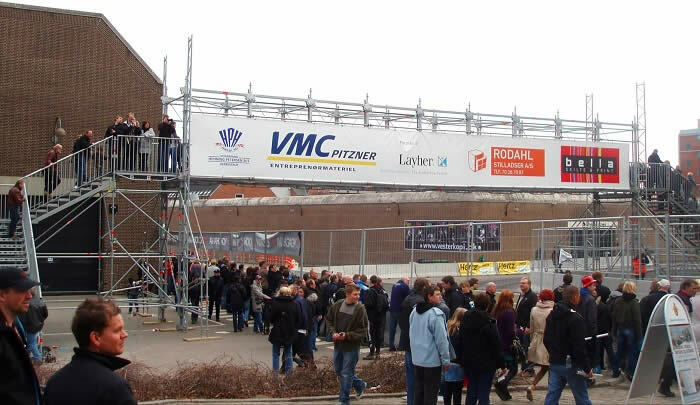 We achieved a 9m span with rigging points across the front edge, and at 1/3 of the way back, off a 2.57m supporting bay by utilising Layher Allround Heavy Duty components with our specially engineered roof structure. 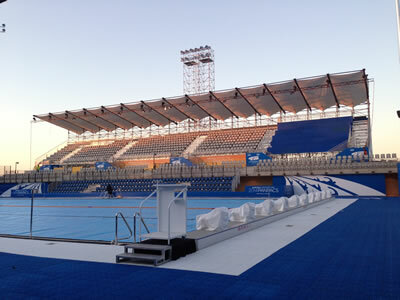 The sheets were then engineered for water run off and wind loads, and pre-shaped to provide the most aesthetically pleasing structure on the market. 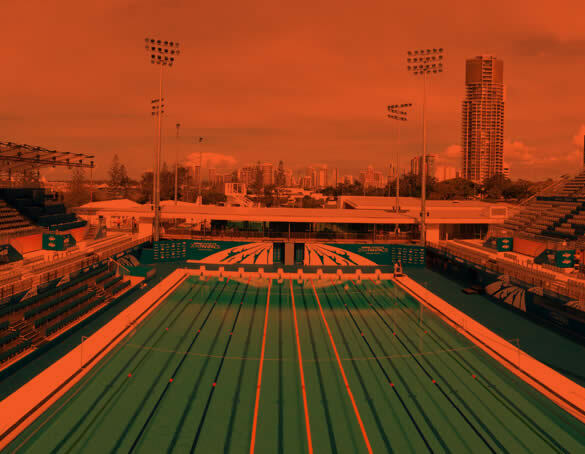 It has been used for the first time at the Pan Pac Swimming Championships on the Gold Coast, which if you saw the event, proved the perfect testing ground, with 70km/h winds and torrential rain battering the event. Contact us for more information on this amazing new roof! 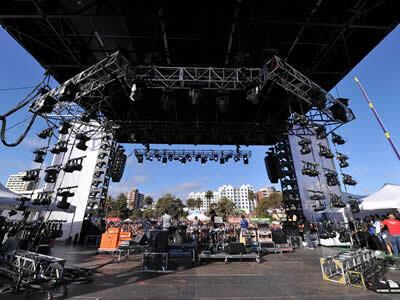 One of the most important areas of any production is providing safe and free-flowing access and exit points. 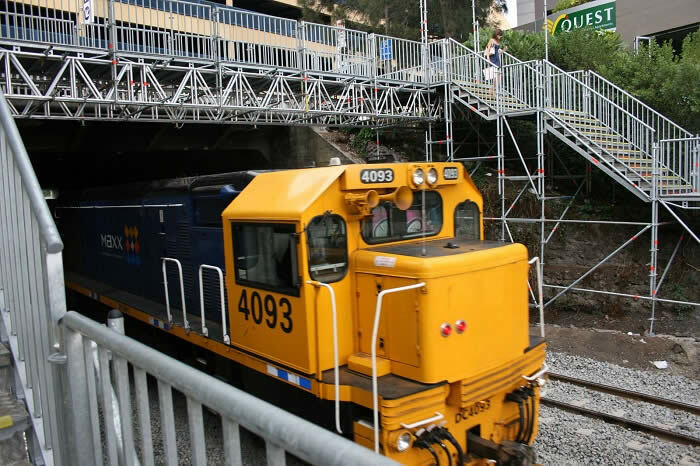 All of our stairs meet Australian safety standards regulations and our public access stairs complies with the Building Code of Australia and Fire Escape Stair regulations. 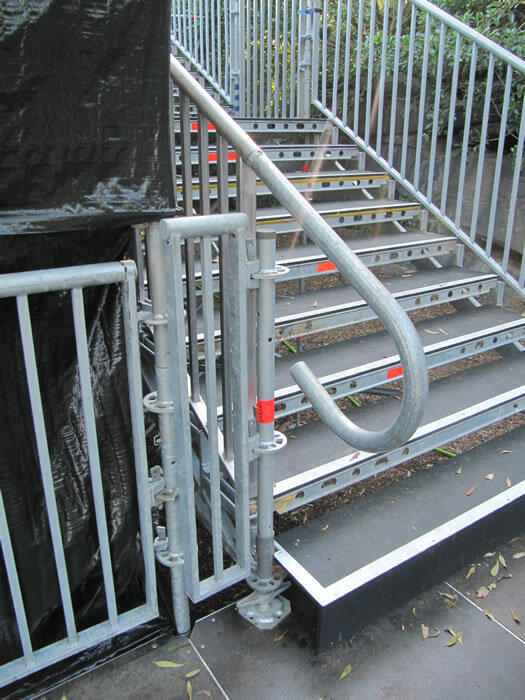 We can provide you with a complete range of temporary access solutions – from walkway bridges, simple stair access, stairway towers for public areas, fire evacuation stairs, plus a variety of tailor made solutions. Our stairway towers are constructed using the modular Layher Allround system, meaning we can accomodate almost any requirement or space. 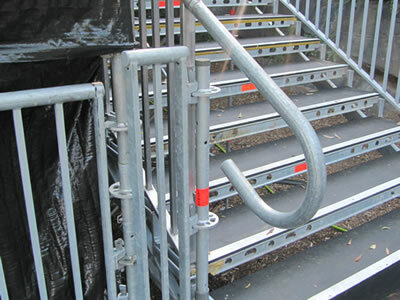 Normal double handrails or childproof handrails can be used. 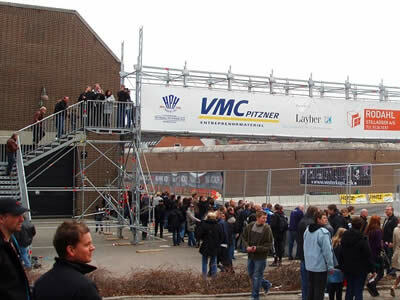 The perfect compliment for the Public Access Stairs is the Clifton Productions modular Temporary Access Bridge. 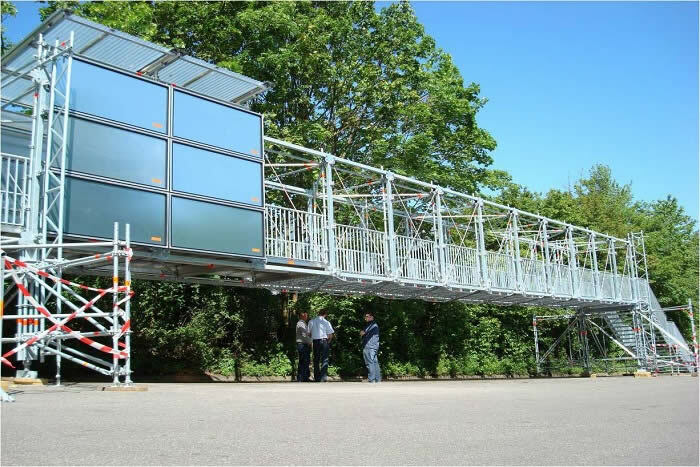 Again utilizing the versatile Layher Allround system, the bridging system is capable of large spans while maintaining very high loads. 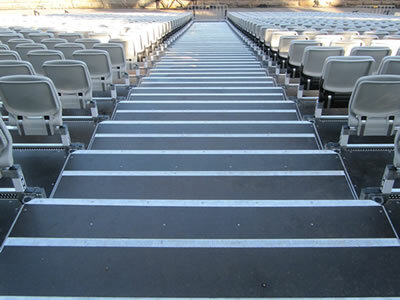 Depending on application, either Event decks or steel decks can be used. 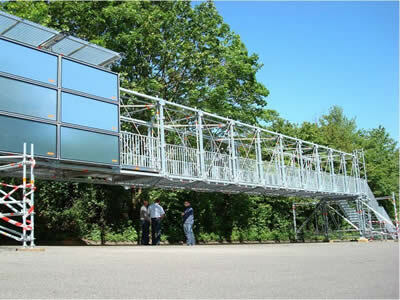 The bridge can also be clad to provide an enclosed access way. 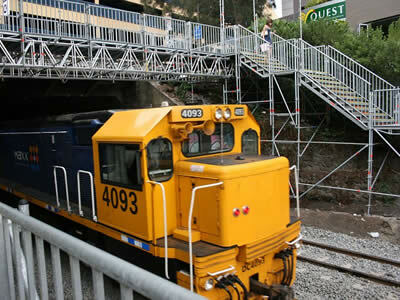 The bridge is mounted on Layher heavy-duty supports with specially designed support elements. 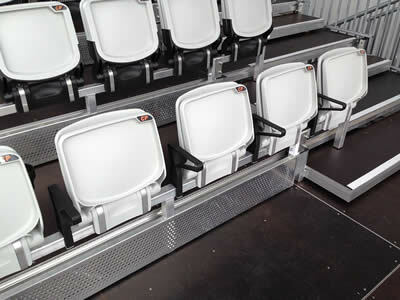 These support elements permit pre-assembly on the ground and subsequent insertion by crane, which is a major advantage when spanning bridges across roads. 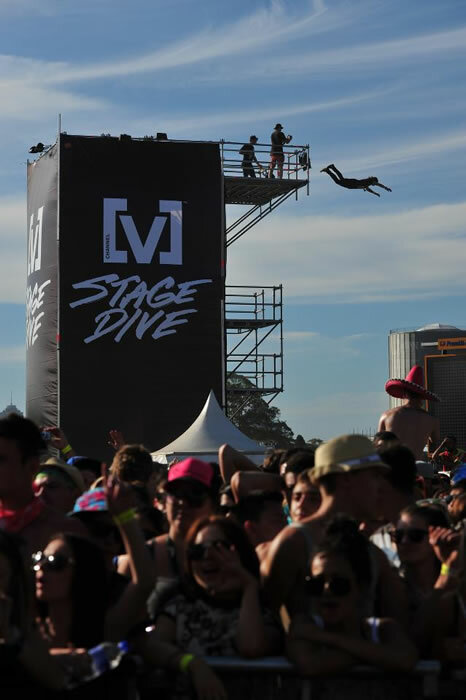 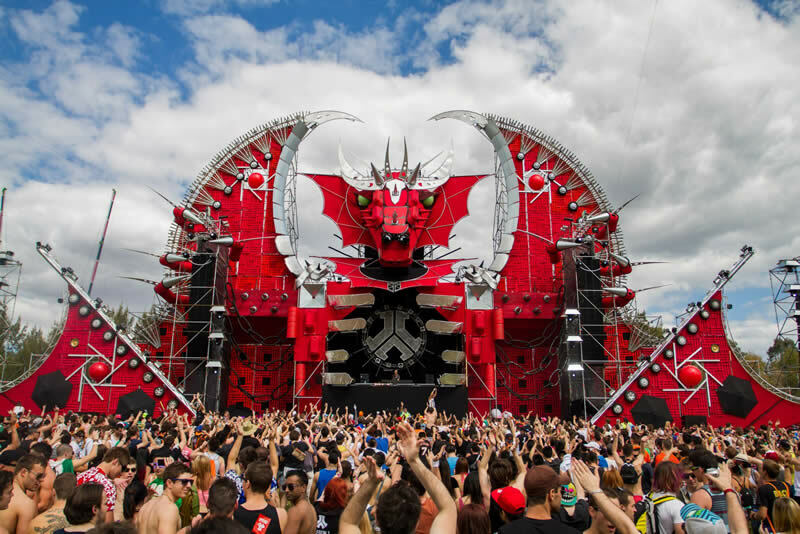 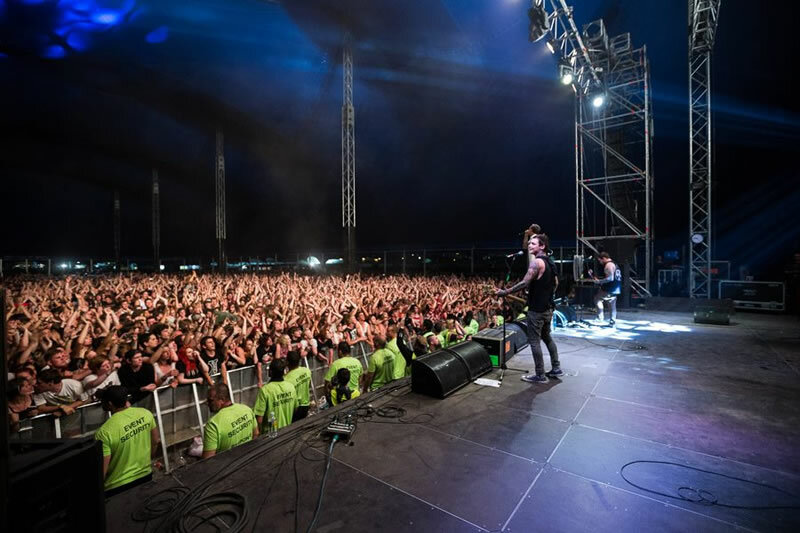 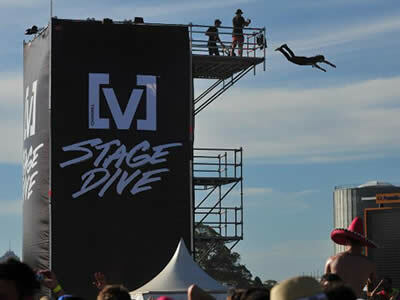 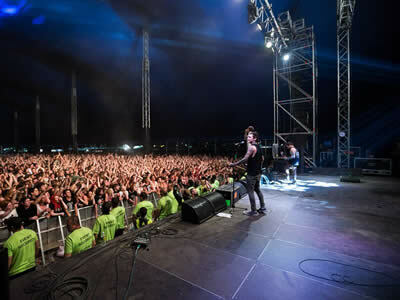 Whether it's a concert, major sporting event or an AGM in a purpose built exhibition venue, our modular Layher event decks are the safest and most structurally sound German engineered staging system available in Australia. 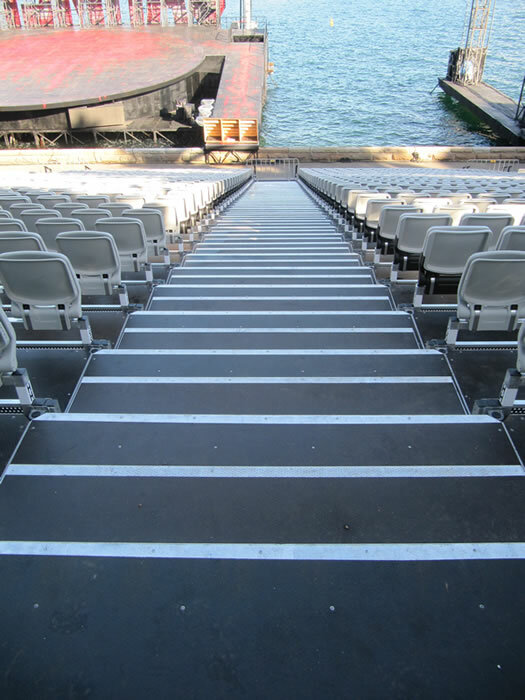 Designed for both indoor & outdoor events, specially designed with a non-slip surface and available in both timber and carpet finishes, there is no limit to the deck heights, size or location. 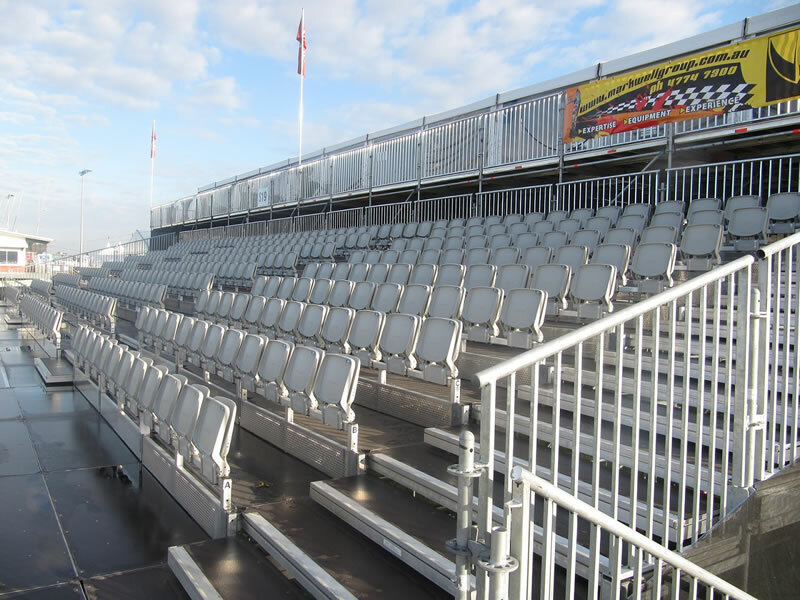 Available with guard and handrails, the flexibility of the event deck system provides a seamless construction method, with the highest levels of safety, promising a successful performance every time. 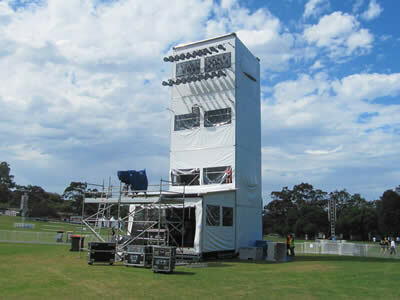 Our ability to think outside the square, and our extensive knowledge of scaffolding, staging and structural engineering creates the perfect combination of resources to assist you in the manufacture, delivery and installation of customised facilities for your event, from initial concept to completion. 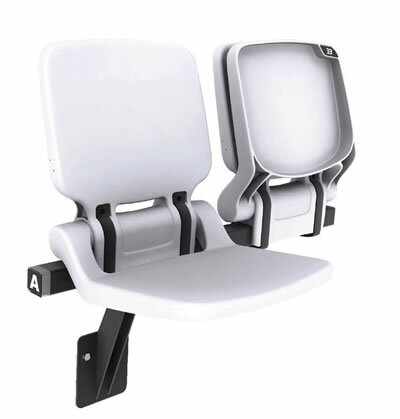 Our team have the necessary and relevant experience to interpret your vision at the same time providing a structurally sound and safely engineered product. 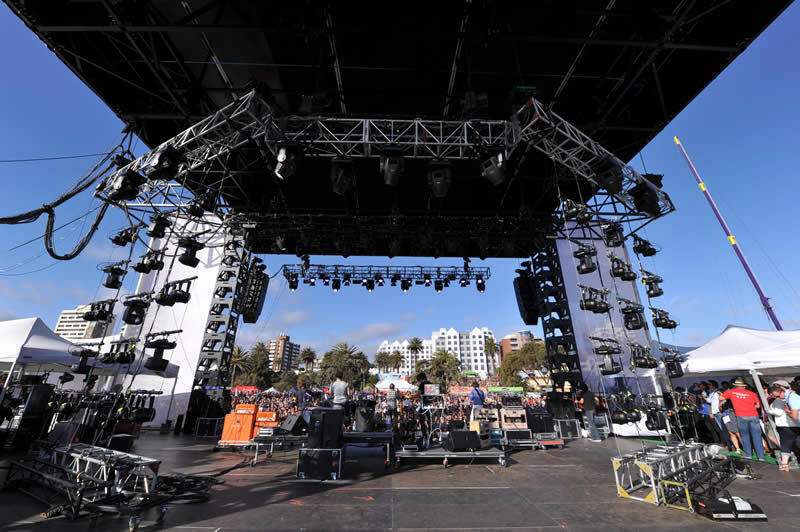 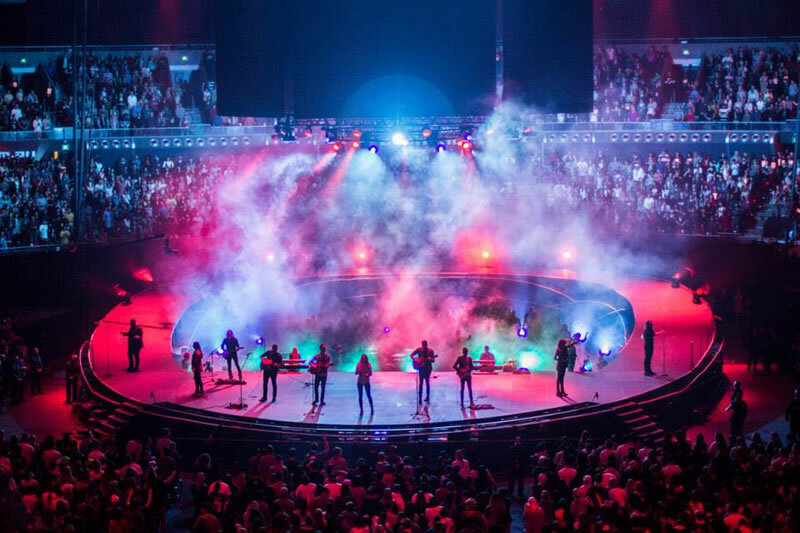 From a camera tower, to a stage dive platform, or even a set for television production our talented team can provide a variety of attractive & functional solutions.